The focus of Dr. Éva Szentirmai’s research is on neuronal circuits that are involved in regulating sleep-wake activity, feeding and metabolism. The purpose of her research is to understand how the brain uses metabolic and hormonal signals from the gastrointestinal tract and the hypothalamus to control sleep and coordinate metabolism and vigilance. Specifically, her laboratory investigates the role of the hypothalamic ghrelin-neuropeptide Y-orexin circuit and the brown adipose tissue in the regulation of sleep-wake activity and metabolism. Szentirmai is an associate professor and researcher with WSU Spokane’s medical education program. She is also affiliated with the Department of Veterinary and Comparative Anatomy, Pharmacology and Physiology, as well as the Sleep and Performance Research Center in Spokane. She received her Doctor of Medicine and doctorate in philosophy from the University of Szeged, Faculty of Medicine, in Hungary. She started her post-doctoral training in the Department of Physiology at the same university. 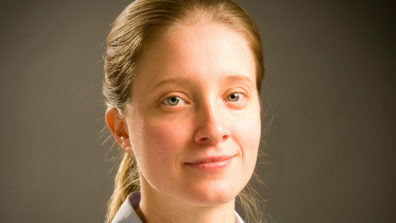 In 2005, Szentirmai joined Dr. James Krueger’s sleep research lab at Washington State University Pullman, where she continued her post-doctoral research on the neurobiology of sleep. Szentirmai joined the faculty in 2009, She teaches first-year students and conducts research. Szentirmai É. (2012) Central but not systemic administration of ghrelin induces wakefulness in mice, PLoS One,7:e41172. Pellinen J, Szentirmai É. (2012) The Effects of C75, an Inhibitor of Fatty Acid Synthase, on Sleep and Metabolism in Mice. PLoS One, 7: e30651. Esposito M, Pellinen J, Kapás L and Szentirmai É. (2012) Impaired Wake-Promoting Mechanisms in Ghrelin Receptor Deficient Mice. Eur. J. Neurosci, 35: 233-243. Szentirmai É., Kapás L., Sun Y., Smith R.G., Krueger J.M. (2010) Restricted feeding-Induced sleep, activity and body temperature changes in normal and preproghrelin deficient mice. Am J Physiol. 298(2):R467-77. Szentirmai É., Kapás L., Sun Y., Smith R.G., Krueger J.M. (2009) The preproghrelin gene is required for normal integration of thermoregulation and sleep in mice. Proc. Natl. Acad. Sci. USA, 106(33):14069-14074. Szentirmai É., Kapás L., Sun Y., Smith R.G., Krueger J.M. (2007) Spontaneous sleep and homeostatic sleep regulation in ghrelin knockout mice. Am J Physiol 293(1): R510-R517. Szentirmai É., Kapás L., Krueger J.M. (2007) Ghrelin micro injection into fore-brain sites induces wakefulness and feeding in rats. Am J Physiol 292(1): R575-R585. Szentirmai É., Hajdu I., Obál F. Jr., Krueger J.M. (2006) Ghrelin-induced sleep responses in ad libitum fed and food-restricted rats. Brain Res 1088: 131-140.